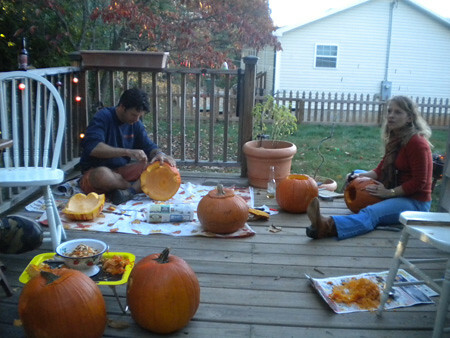 This afternoon/evening was our friend’s annual Gourd Gala. 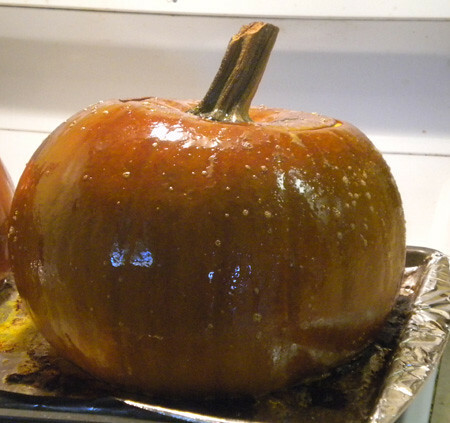 I picked up a pumpkin on Friday night, so we were ready to go. Several years ago, I inherited a pumpkin carving kit from my mom circa 2003 (that’s the copyright we found this evening – the book looks way older.) 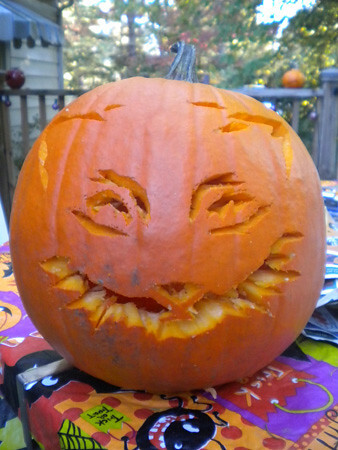 We didn’t use it last year (for our first carved pumpkin as a couple!) but decided to go fancy this year. First off, though, I must show you some other cool pictures. 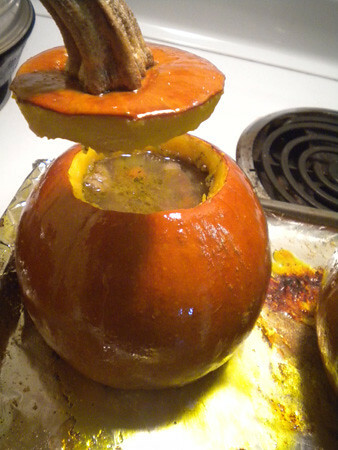 Laura is uber-talented, and makes a beef stew inside the pumpkins. These beauties came out of the oven as we arrived. Once we put a candle in it, I’ll have to take a picture of it. I’m already thinking of ideas for next year’s pumpkin! what a fun event! i can totally see a cat in there!